The most difficult part for me is trying to write an appropriate intro for a site dedicated to such a complex personality as the one of Richey James Edwards. 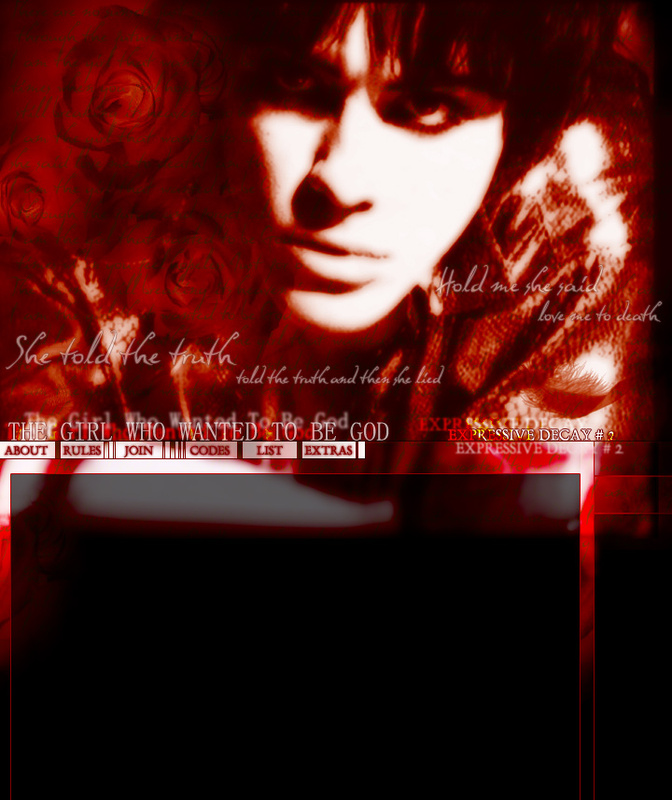 I was nearly fifteen when Richey James Edwards vanished. I remember reading the news in a musical magazine, and I felt quite uncomfortable. I used to like the Manics, but at that time I couldn't really get into their music thanks to the fact their albums were not properly distributed were I was living. The Holy Bible was my first Manics' CD and I was sincerely moved and struck by it. It was like a brick smashed on the head (this comes from a person who's been listening to not-so-happy-and-giggly kind of music for almost all her life...). The bizarre thing is that we often find ourselves a lot more attached to something that has been said to us by some relatively unknown individuals, while most of the times we absolutely cannot recognize ourselves in words we hear everyday from people we perfectly know or at least, from people we suppose to know. That is exactly the importance of the work of a lyricist as Richey was as a part of Manic Street Preachers (part of the credit must be given to Nicky Wire as well, of course). His ability went, and still goes, far beyond the simple power of identification that the audience could share with him. I'd rather call it power of acknowlegdgement. Acknowledgement doesn't necessarily mean understanding anything about ourselves or about the world. It also means being able to declare the sense of failure and incompatibility in front of everyday's events or even in front of historical events. It means being able to analyze it and say "I'm still strong enough to disagree". It means, for what it's worth, having an opinion. Some years have passed and I still feel uncomfortable thinking about the whole Richey's question. It's like sensing a little hole which remained behind, but that is still there. This useless site is where I wish to gather all the fans who still have this little hole somewhere. This is not a real tribute (who am I to talk about tributes? ): it is just a reminder. A fanlisting has the purpose to gather all the fans/lovers of a certain subject from all around the world and let them have a place where they can get to know each others, building a sort of devoted community. Thanks to these sites for stock photos and feathers brushes. Richey's image from You love Us video taken from Forever Delayed DVD. I'm in love with this layout, so please, don't steal! This site is part of Demigod.NU and thefanlistings.org. If you have questions or if you feel offended by something written in here, send anything, from suggestions to death threats to Panuru. She's the only person to blame for this site. Yes, shame on me!